Kangaroo Island emu or dwarf emu is an extinct bird. The species became extinct by about 1827. 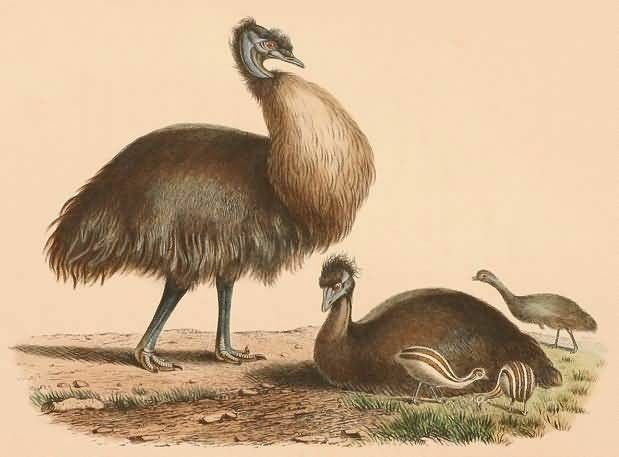 It is believed that this emu lived in the interior forest. The species extinction has been attributed to hunting and habitat clearance through burning.